With the redesigned official-friendly Gill Implement Certification Kit, officials can be assured that each implement meets specifications. Labeled tabs help you quickly find the right sized gauge. A larger base on the hammer gauge means increased stability. 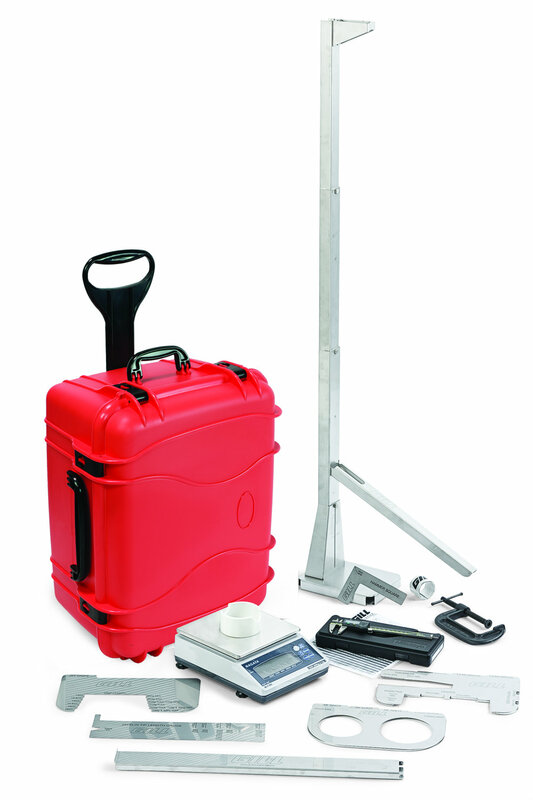 This self-contained unit includes a scale and depending on model, checks the specifications for the discus, javelin, shot put, and hammer. The gauges and labels are laser cut stainless steel for extreme accuracy and permanency. NEW wheeled case for easy transportation.